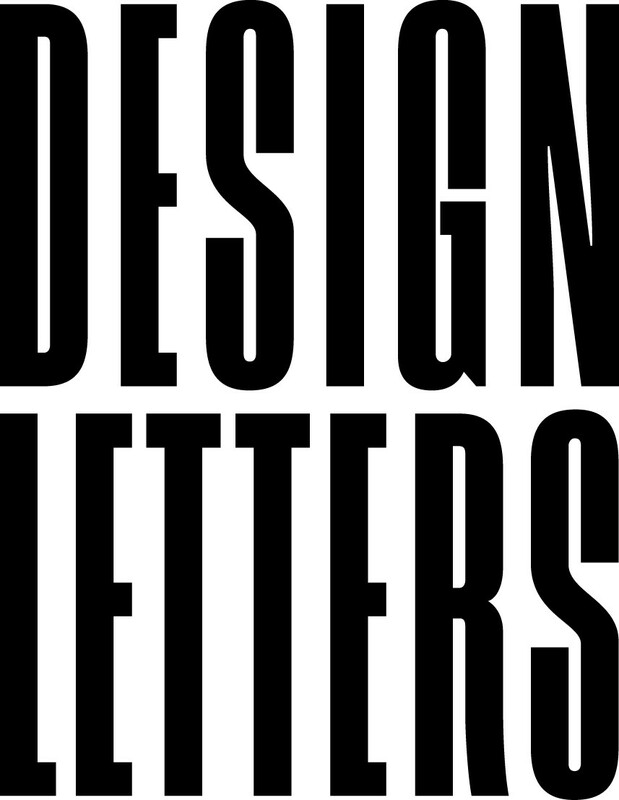 Design Letters was recently given the permission to revive Danish architect Arne Jacobsen’s typography from 1937. 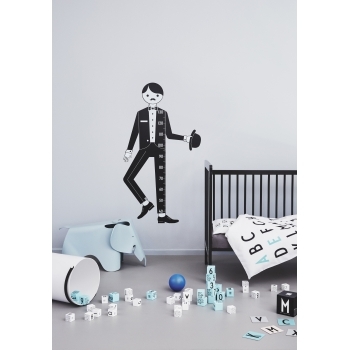 And with their wide range of tableware, toys, bedding and furniture, the Danish company manages to bring a stylish and modern yet elegant flair to your interior. So play, eat, learn and sleep with Arne Jacobsen’s vintage ABC. 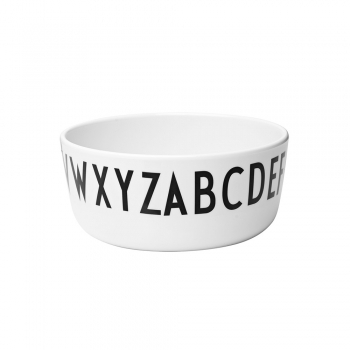 Teach your children the ABC during your mealtimes with these super stylish monochrome bowl. 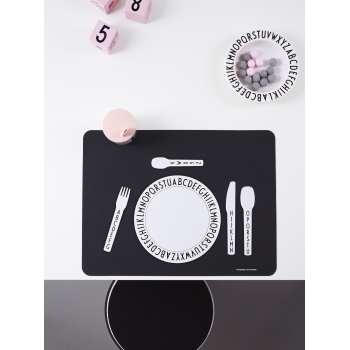 This tableware series by Design Letters is made of melamine and the iconic Arne Jacobsen typography is a real classic. Personalize your mealtime with these super stylish monochrome cups. This tableware series by Design Letters is made of melamine and the iconic Arne Jacobsen typography is a real classic. 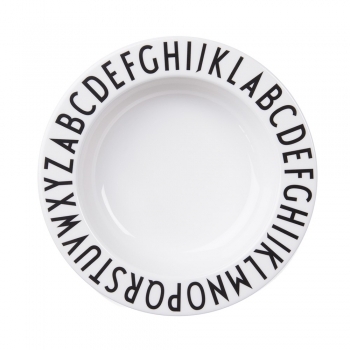 Teach your children the ABC during your mealtimes with these super stylish monochrome deep plate. 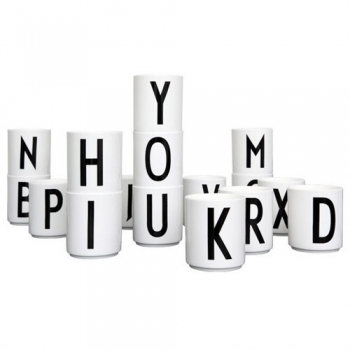 This tableware by Design Letters series is made of melamine and the iconic Arne Jacobsen typography is a real classic. What a cool and stylish way to et everyone know that this is your sleeping pillow. The pillow case comes in size 50 x 70cm, is made of 100% cotton and has your letter of choice in Arne Jacobsen’s vintage typography. 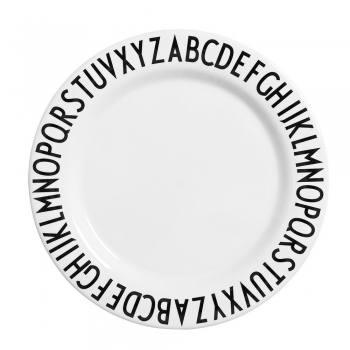 Teach your children the ABC during your mealtimes with these super stylish monochrome plate. 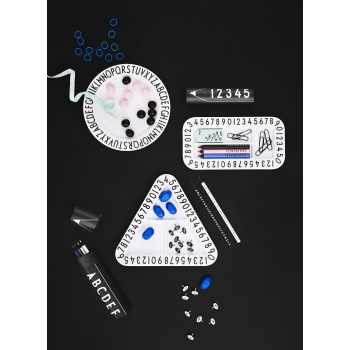 This tableware series by Design Letters is made of melamine and the iconic Arne Jacobsen typography is a real classic. From your baby shower to your baby’s first birthday. It’s always nice to save all of your precious memories of your kid’s first year in one single place. 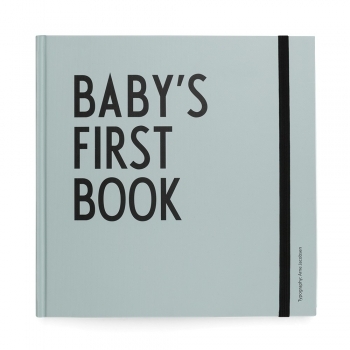 And with Design Letters’ baby’s first book for boys you’ll definitely keep them in a stylish way. From your baby shower to your baby’s first birthday. It’s always nice to save all of your precious memories of your kid’s first year in one single place. And with Design Letters’ baby’s first book for girls you’ll definitely keep them in a stylish way. The book comes with 12 cards to celebrate each month. 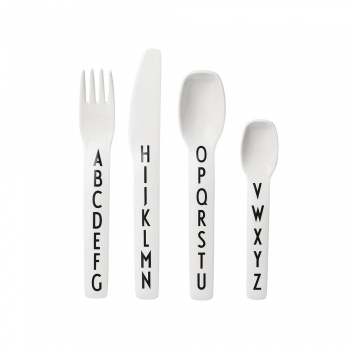 Teach your children the ABC during your mealtimes with these super stylish monochrome cutlery set. 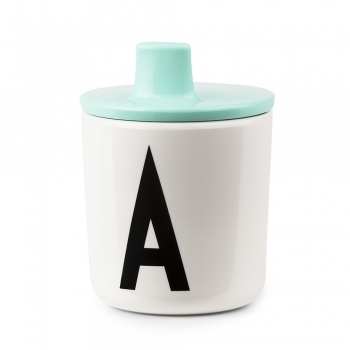 This tableware series by Design Letters is made of melamine and the iconic Arne Jacobsen typography is a real classic. 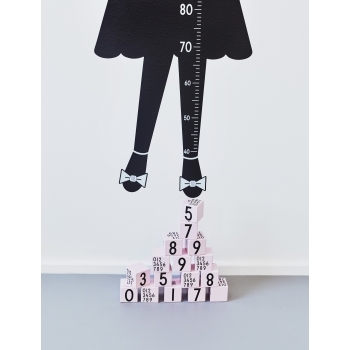 This stylish memory game is perfect for learning the ABC. 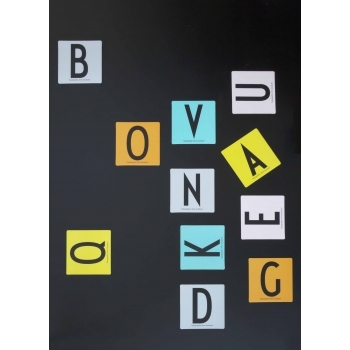 Each box has two complete alphabets with the Arne Jacobsen vintage typography. 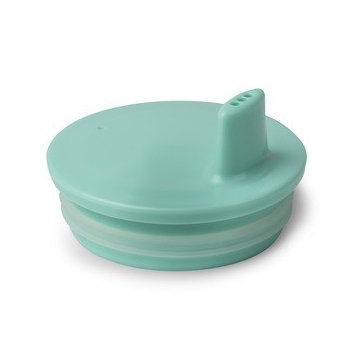 With this mint drinking lid you can turn the ABC melamine cup into a sippy cup for toddlers and babies. 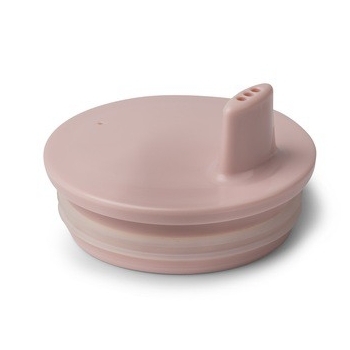 With this pink drinking lid you can turn the ABC melamine cup into a sippy cup for toddlers and babies. 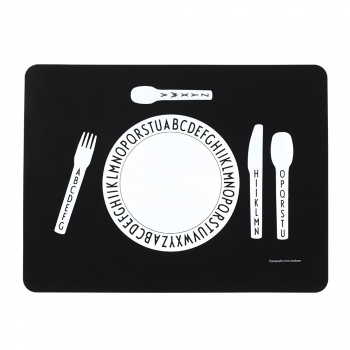 Let your kids set the table with this cool placemat by Design Letters with the Arne Jacobsen vintage design. 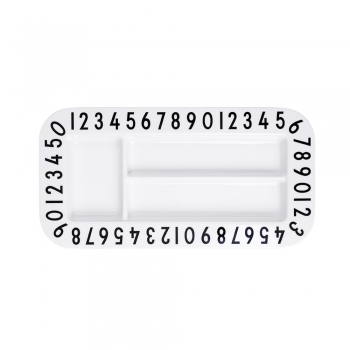 Serve your snacks in the most stylish way with this monochrome rectangular snack plate. This tableware series by Design Letters is made of melamine and the iconic Arne Jacobsen typography is a real classic. 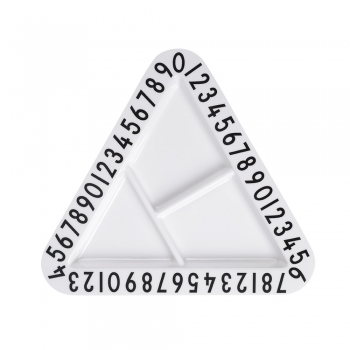 Serve your snacks in the most stylish way with this monochrome triangle snack plate. This tableware series by Design Letters is made of melamine and the iconic Arne Jacobsen typography is a real classic. 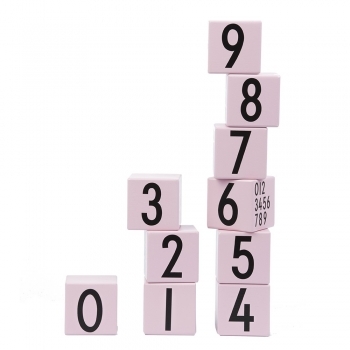 This set of 10 pink wooden building blocks is perfect for stacking and learning numbers at the same time. And they look super stylish on every shelve. 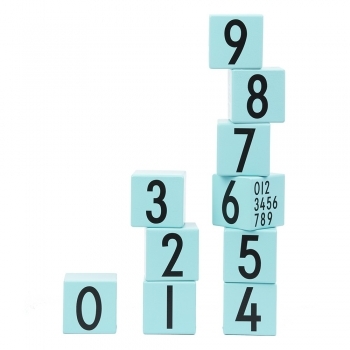 This set of 10 turquoise wooden building blocks is perfect for stacking and learning numbers at the same time. And they look super stylish on every shelve.